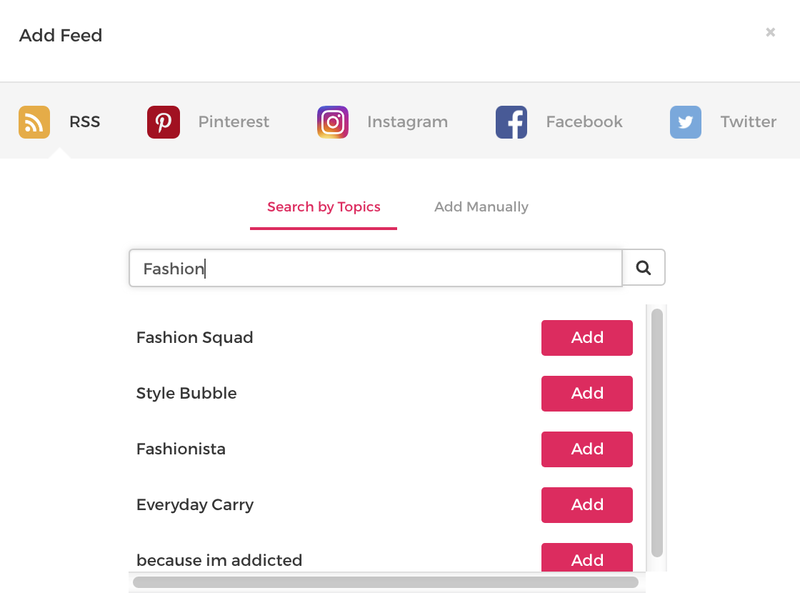 With Viraltag, you can add in feeds to your dashboard and look for content to post to social media. This way you don't have to toggle between different windows looking for content - Everything can be accessed within Viraltag. Click on "Explore" from the panel on the left side of the screen. 2. Under the Feeds section, click on "+ Add Feed" to add in a new feed. 3. You can add in an RSS Feed or Pinterest, Instagram, Twitter and Facebook accounts as feeds. 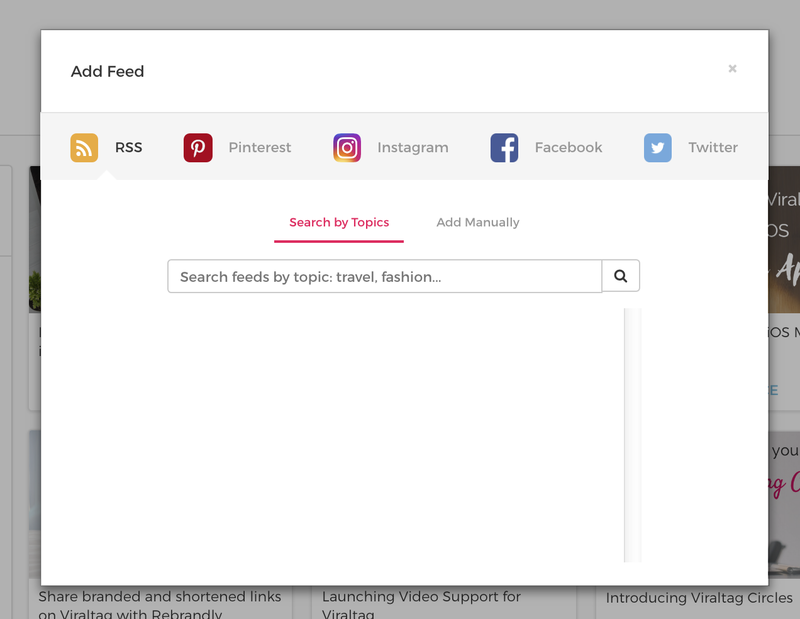 To add feeds by topic, click on 'Search by Topics' on the left hand corner of the window and type in any topic in the search bar for which you would like to see feeds suggestions. Click on the search icon at the right hand side of the search bar. To add feeds manually, click on "Add Manually" at the top right corner of the window. You can add a name for your feed as you would want it to appear on your feeds list and the URL for the RSS Feed. Click on "Add Feed" and your feed will appear in the feeds list. 5. 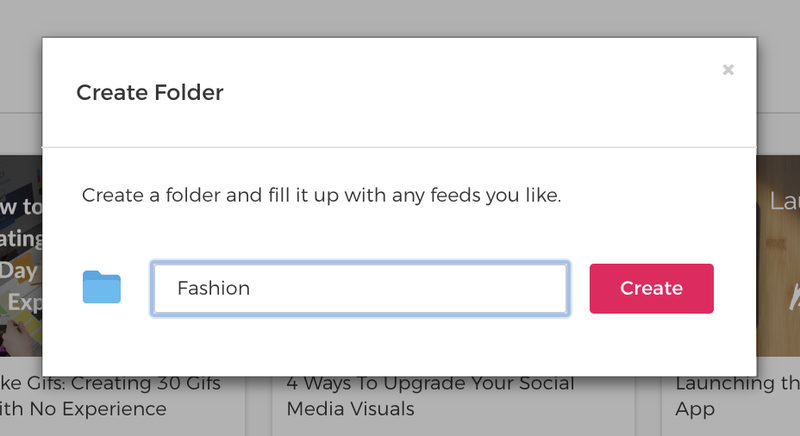 Click on 'Add' next to the feed name of any feed you want to add (you can select more than one), and they'll get added to list on the 'Feeds' section. 6. You can have the feeds line up individually one below the other, or Create a new folder and move the feeds into the folder for better organization. 7. To share articles within a feed, you can select one or more posts, and click on 'Schedule' it to share it across your social media channels. You can also click on 'View source' to read the article before sharing it on social media.